by more than 1,200 vendors across a broad spectrum of categories from heavy equipment and design and engineering software to plant cleaning technologies. The four-shows-in-one format has expanded to six and one of the long-time attractions, the Plant Engineering and Facilities Management Show has added a new pavilion featuring large equipment. The five other featured pavilions at the Plant Show are Building and Grounds, Fluid Handing, Maintenance Software, Materials Handling, Safety/Health/Environment, and Tools. In addition, the 10th Annual Cleaning Technology Exposition, CleanTech 2003, will be co-located with NMW. The conference program held in conjunction with the exposition has been expanded with the help of the American Society of Mechanical Engineers (ASME), AMR Research, the International Facility Management Association (IFMA) and the NMW Advisory Board. It features sessions in five tracks over all four days of the conference. The Plant Engineering and Maintenance Management track will include sessions on condition monitoring, maintenance risk assessment, machinery purchasing and maintenance cost optimization. The keynote speaker on Wednesday, March 5, will be Frederick D. Gregory, Deputy Administrator of NASA. He will be discussing "Bringing Space Technology Back Down to Earth." On Monday, March 3, there will be a panel discussion on "Securing Our Homeland, Defending Our Nation." The panelists will include Vice Admiral Thomas J. Barrett, U. S. Coast Guard and Fred P. Moosally, president, Lockheed Martin NE&SS-Surface Systems. In addition to the Plant Show, NMW will host the National Design Engineering Show, the Industrial Automation Show, the Enterprise IT show, the Technology Transfer Conference, and CleanExpo 2003. 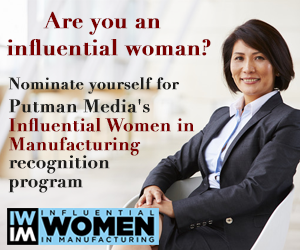 For more information, go to www.manufacturingweek.com. Air Liquide, the global supplier of industrial and medical gases, has agreed to purchase $4.5 million worth of condition-based monitoring equipment and services over a five-year period from Rockwell Automation. Rockwell will supply vibration analysis equipment to Air Liquide that will enable AL to remotely monitor its critical machinery and equipment. Rockwell also will provide help to Air Liquide technicians with analysis of the information gathered. Several of Air Liquide's 55 U. S. facilities operate automatically or with a single technician on site at any given time. The monitoring data collected at all these facilities will go to a single location for analysis. The challenge for Air Liquide was to gather together and rationalize data gathered from some 5, 500 analysis points at its facilities and to have a cohesive strategy and consistency in data collection and analysis across all its plants. "We didn't have enough people for data collection and analysis," explains Todd Barham, reliability technologies manager at Air Liquide. "We wanted to make sure that the same person was doing the same analysis on the same piece of equipment," he told Plant Services Magazine. Under the terms of the agreement, Rockwell is providing the equipment necessary to develop the remote-monitoring infrastructure, which will be integrated with Air Liquide's Maximo computerized maintenance management system (CMMS). The agreement places emphasis on the relationship with the technicians on both sides and calls for regular meetings between personnel to share information about how specific pieces of equipment are operating. The goal of the arrangement is to enable Air Liquide to improve its facilities' operational performance and to provide the company with the wherewithal to realize the benefits of leveraging best practices through predictive maintenance, according to Mike Laszkiewicz, vie president, Global Manufacturing Solutions for Rockwell. In a move designed to strengthen its position in specific vertical markets and to emphasize the connectivity of its software offerings, Swedish enterprise software vendor IFS has announced a reorganization of its operations. Industry managers have been appointed for seven verticals: utilities, mixed batch process industries, high-tech electronics and medical devices, industrial machinery and equipment, automotive, heavy construction and industrial service management, and aviation and defense. Each of the new vertical organizations includes product marketing, sales and R & D operations. IFS has more than 60 enterprise application components used in manufacturing, engineering, maintenance, supply chain management, customer relationship management, financials and human resources administration. The goal of IFS' reorganization is to increase the company's footprint among medium-to-large manufacturers in each of these segments and to better service customers by clarifying the nature of the company's offerings, explains John Bridges, vice president of marketing for IFS North America. "We realized that they [the components] all have to talk to one another in a seamless way. We offer that, but we realized that we were not getting the message of interconnectivity across. We've taken our existing products and packaged them for industries that we feel will benefit. It's more beneficial for our customers." According to ARC Advisory Group, only technology that can solve real-world business problems will be of interest to manufacturing executives in the coming year. The top three issuesand the technologies that can address themthat will dominate manufacturing execs' discussions are: real-time performance management, adoption of collaborative manufacturing management models, and implementation of advanced security and regulatory compliance strategies. Rockwell Automation will provide complete Entek condition-based monitoring equipment, software, and services to customers of the Flow Solutions Division of Flowserve Corp., a provider of industrial flow management services. Under the terms of the agreement, Rockwell will provide products and services to Flowserve as part of an integrated condition-based monitoring package focused on Flowserve pumping systems. In a unique relationship, Rockwell Automation integrated condition-monitoring software, services and technology expertise will be available to Flowserve's pump and sealing systems customers. According to Don Werner, general manager of Rockwell's Integrated Condition Monitoring business unit, Flowserve customers can deal either with Flowserve directly or with Rockwell Automation for their condition-monitoring needs. In either case, the Entek expertise will be coming from Rockwell. "Customers will see this pretty much as a Flowserve-based solution with strategic outsourcing," explains Werner. "Flowserve is telling their customers, 'We're providing you with the experts in this field to maximize the life of your assets.'" A ccording to the accounting firm Grant Thornton, almost eight out of 10 U. S. middle-market companies are optimistic about the future of their business over the next six months, and half of them plan to add staff in the next six months. Only 7 percent expect to reduce their work forces. For a copy of the survey, contact Ryan Stone at rstone@figelmurphy-pr.com or 312-223-9536, ext. 3.